Dubai is a city of two halves—the modern city with its gleaming skyscrapers and manmade islands, and the old city with its historic landmarks and souks. On this full-day tour, discover both old and new Dubai, and take in the sights at your own pace with a private vehicle and guide. Admire views of the Palm islands and Burj Khalifa, stop at Dubai Marina and Dubai Mall, and browse the gold and spice souks along Dubai Creek. 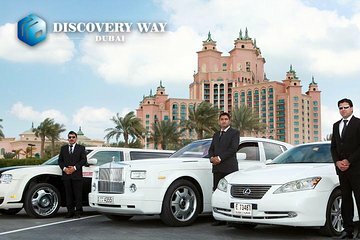 Luxury transport, a personal chauffeur, and a custom-made itinerary makes this tour fit for a VIP.